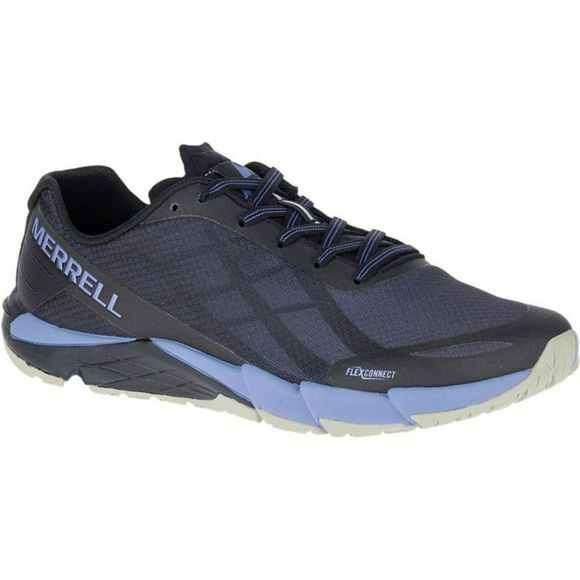 The Women's Bare Access Flex Trainer from Merrell offers ultimate versatility, comfort, and ground connection on the trail, road and beyond. 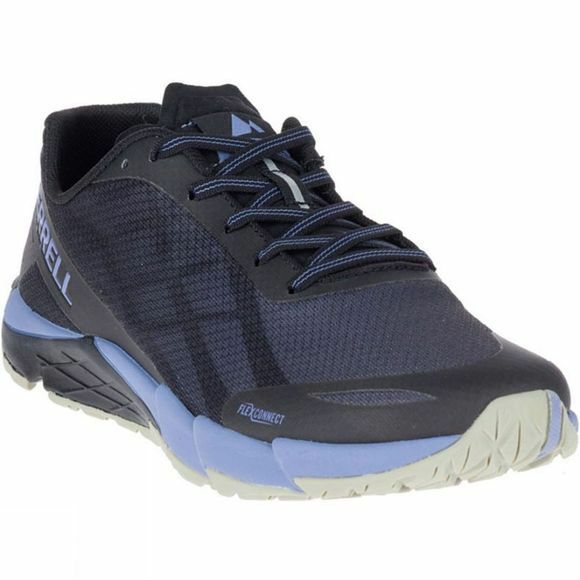 It has a Hyperlock printed TPU heel counter for security during quick descents and sharp turns. The FLEXconnect midsole provides agility and stability on uneven surfaces, while the M Select GRIP+ outsole has anatomical grooves, which are sticky and durable, ensuring for superior grip and traction on wet or dry trails.